Wrestle with the 2003 roster. This is my favorite Smackdown game that I have played so far, its got the best effects and is the most enjoyable to play!. The matches have the best quality, and it has new and cooler characters like then unknown's Randy Orton and John Cena,but the biggest improvement is the season storyline, as its probably the best in the entire series as I enjoyed it the most! plus I loved the drafting as it was so much fun to pick what wrestlers you wanted and to see what ones they picked.Ric Flair and Stephanie were cool as the General managers,and my favorite match in the game was once again probably Hell In The Cell! plus Micahel Cole and Tazz were cool as the announcers!. In the game Brock Lesnar is most likely the toughest to beat, and the blood looked very realistic! plus I loved playing the Royal Rumble in this as well as it was a lot of fun!. This is my favorite Smackdown game that I have played so far it's got the best effects and is the most enjoyable to play and if you haven't played it and have a PS2, do so immediately you shouldn't regret it!, i'm looking forward to trying out Smackdown Vs Raw 2006!. ***** out of 5 I Like WWE Smackdown Here Comes The Pain More Then Smackdown Vs Raw Because The Way Smackdown Vs Raw Was Made Is Weird When You Get Punch And Get Hit On The Ground You Stay Down For Along Time I Know It Real Life That Would Happen But Still This Is A Video Game People Don't Like Games Like That Well I Don't And The Royal Rumble Matches On Smackdown Vs Raw Is Stupid How You Get People Out Of The Rings You Push Them Off And In WWE Smackdown Here Comes The Pain You Can Get Them Off Easyer and Funner By Doing What Ever You Want To Hit Them Off!!! And Smackdown Vs Raw It Takes Hours To Complete A Royal Rumble And In WWE Smackdown Here Cames The Pain It Takes 20 Minutes About And Its Very Fast Past And Not Boring Like Smackdown Vs Raws Is!!! The Season Mode On WWE Smackdown Here Comes The Pain Is Amazing Its Just Like The Real WWE And In Smackdown Vs Raw Its Not Its Stupid And Boring!!! 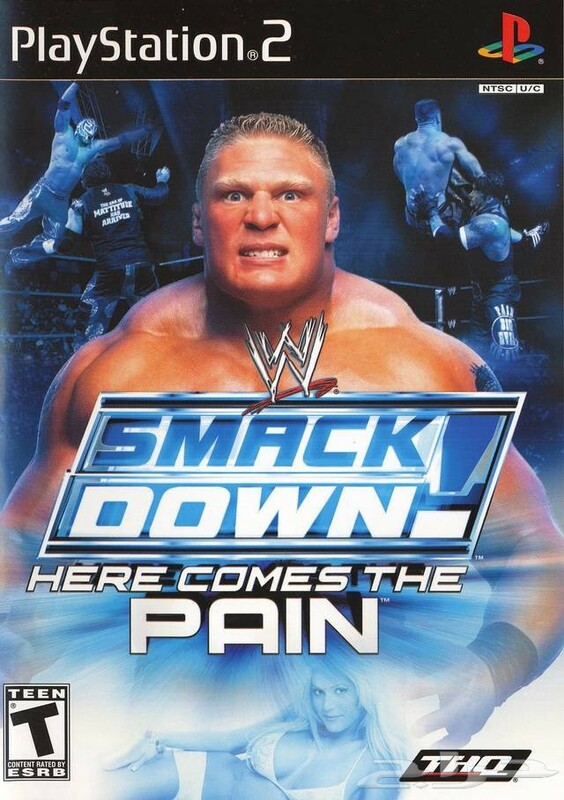 Thats Why I Like WWE Smackdown Here Comes The Pain More Then Any Other Wresting Game Out There!! !